Welcome to the Passamezzo website. 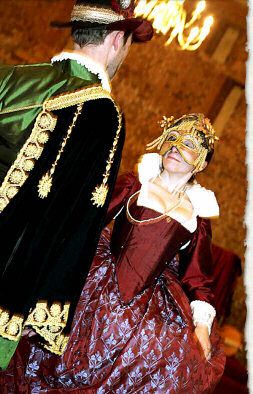 We devise and perform historical music, dance and spectacle for all occasions, specialising in the Elizabethan and Jacobean masque. We can provide anything from a small group of musicians to a stage full of lavishly costumed dancers and actors, and take pride in creating an event which is tailored to your needs. We also have a wealth of experience in the fields of heritage and education, creating unforgettable performances and workshops based on detailed historical research, and taking 'living history' into schools. We enjoy sharing our passion for history with the public. Our musicians tour regularly, and have now recorded eight cds, Gallimaufry , Christmas Music in Shakespeare's England , An Excellent Medley , In Peascod Time , From Shore to Shore , To Shorten Winter's Sadness , Shadows, not Substantial Things and Meditations Most of these are available in our shop, where you can also listen to clips.